Snacking on the popular citrus fruit reduces people's risk of developing age-related macular degeneration (AMD), which affects central vision, by 60%, a study found. 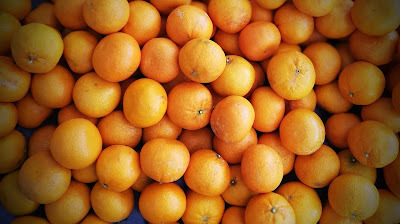 Lead author Professor Bamini Gopinath, from the University of Sydney, said: 'The data shows that flavonoids found in oranges appear to help protect against the disease. Despite flavonoids also being found in other produce such as apples, for unclear reasons, only antioxidants in oranges protect against sight loss.